Visitors got a rare glimpse of the NRC’s Operation Center last week when tours were offered as part of the annual Regulatory Information Conference. 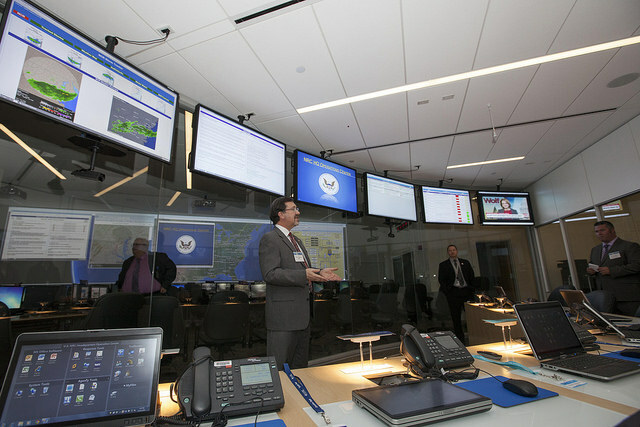 Here, NRC officials show off the Executive Team room, from where an NRC response effort would be managed. Other sections of the center include the Reactor Safety team, the Protective Measures team, the Liaison team and the Public Affairs team, among others. The Op Center is staffed 24/7 by specially trained Headquarters Operations Officers.